Peter George Kambour, age 66, passed away unexpectedly on Monday, May 28, 2018 at Mass General Hospital in Boston. He was born in St. Johnsbury, VT on August 5, 1951, a son of the late Theodore and Margaret (Beattie) Kambour. He was raised in Barton, VT and attended Lake Region Union High School where he graduated valedictorian of his class. Peter went on to further his education at the Massachusetts Institute of Technology where he received his Bachelors of Science Degree in Civil Engineering and was also a member of the crew team. Peter was a resident of Chelsea and was formerly of Westford, MA, Lennoxville, Quebec and Montreal, Quebec. While residing in Lennoxville, where he lived for ten years, he was the director of buildings and grounds at Bishops University, a job he loved immensely. After living in Canada for 26 years, he moved to Massachusetts to provide a better education for his son, and took a job at UMass Lowell. Toward the end of his career, he was the director of facilities for the Chelsea Public Schools. Peter was an avid sports fan and outdoorsman. He was gifted athletically and played varsity sports in high school and at MIT. 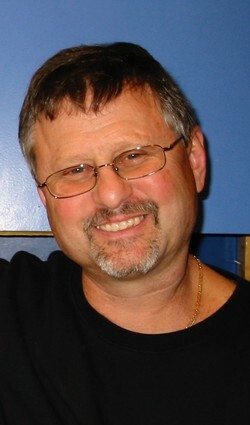 He coached recreational little league baseball and basketball in Westford from 1999 until 2004. Among his many interests, he enjoyed reading, kayaking, fishing, hiking, skiing, playing softball and baseball and spending time at Shadow Lake in Glover, VT. He was also a member of the Masons at Tahattawan Lodge for 10 years. He is survived by his son, Nicholas Bower - Kambour and former wife, Carol Bower of Westford; his siblings, Jim and Tom Kambour of Barton, VT and his sister-in-law, Sandy Butkovitch who is the wife of his late brother Ted Kambour. Also, his grandsons, Liam and Joshua Kambour - Price; his nephew Daniel Bower and his wife, Zena, and their daughters, Bonnie and Lainie. ARRANGEMENTS - Family and friends will gather to honor and remember Peter at the J. A. Healy Sons Funeral Home, 57 N. Main St., Westford, on Sunday, June 10, visitation from 11am until 1pm followed by a celebration of Peter's life service to begin at 1pm at funeral home. Interment will be private. In lieu of flowers, contributions may be made in his memory to https://www.gofundme.com/peterkambour. To share your thoughts and memories of Peter, please click the sign guestbook link.